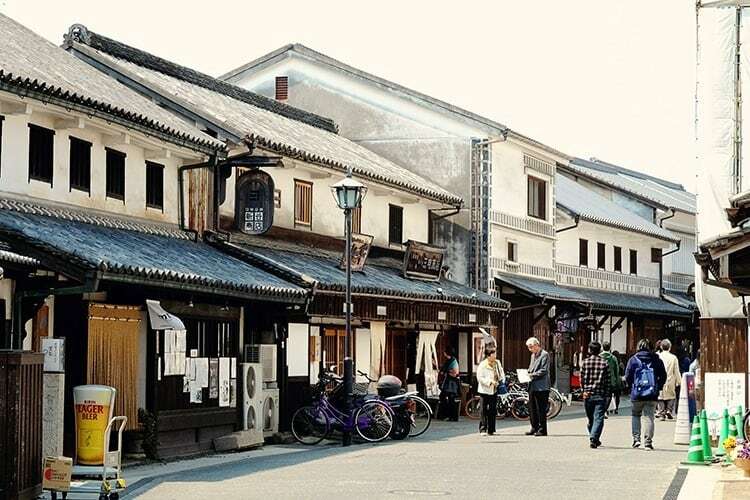 Kurashiki, Japan is a city that seems like it has frozen in time. From 1600-1868, during the Edo period, Kurashiki was such an important merchant city that Shogunate directly controlled; even though it was almost 700 km away from the capital. 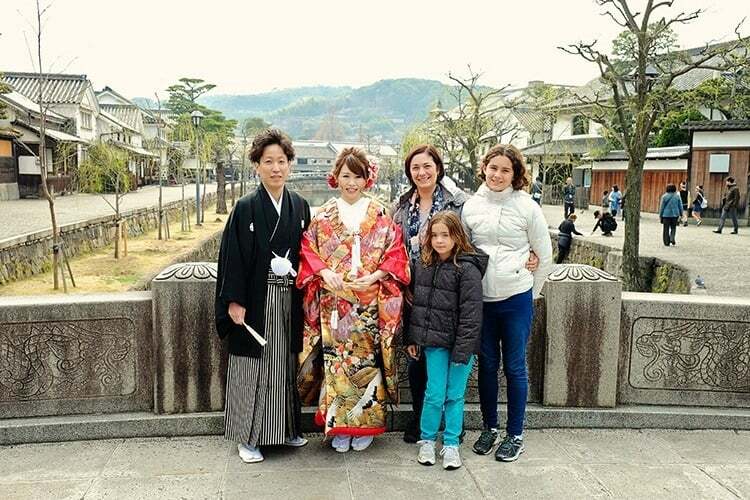 Kurashiki city now functions in two ways, there is the modern city of Kurashiki, which is everything you could want from a small city in Japan; and the Bikan District is like a living history of the Edo and Meiji periods. During the 17th century, the area surrounding the city’s canal was made into a merchant’s quarter. During this time Kurashiki became very prosperous by trading sugar and rice with other cities. 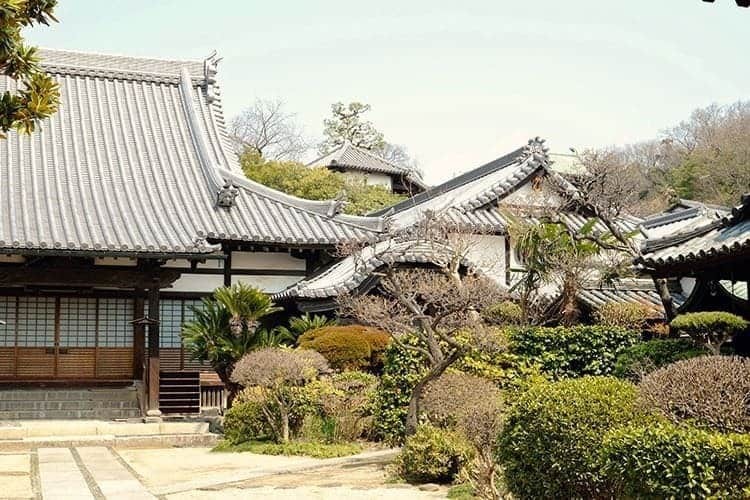 That prosperity created a lasting impact on the city, which has been voted the most picturesque town in Japan due to its beautiful natural scenery and architecture. The Bikan district translates to ‘aesthetic district’ and there is no wonder why. 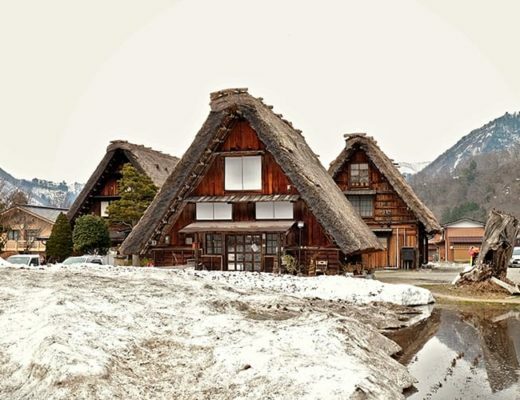 It is filled with perfectly preserved Edo period mills, shops, and warehouses. 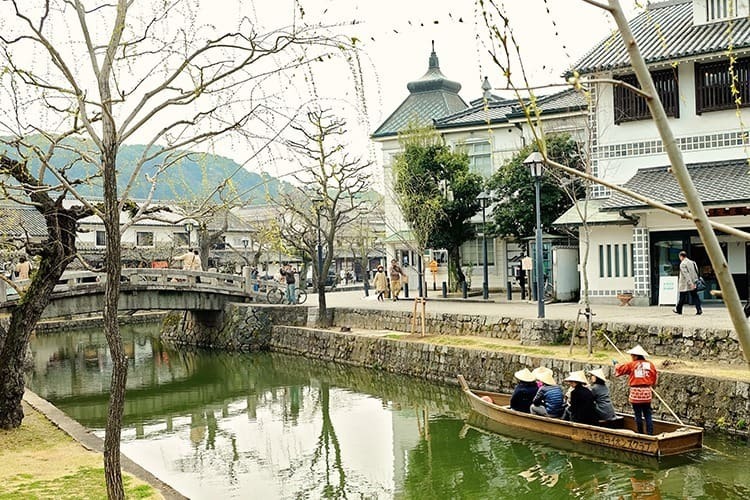 Visiting Kurashiki Bikan is like taking a step back in time. 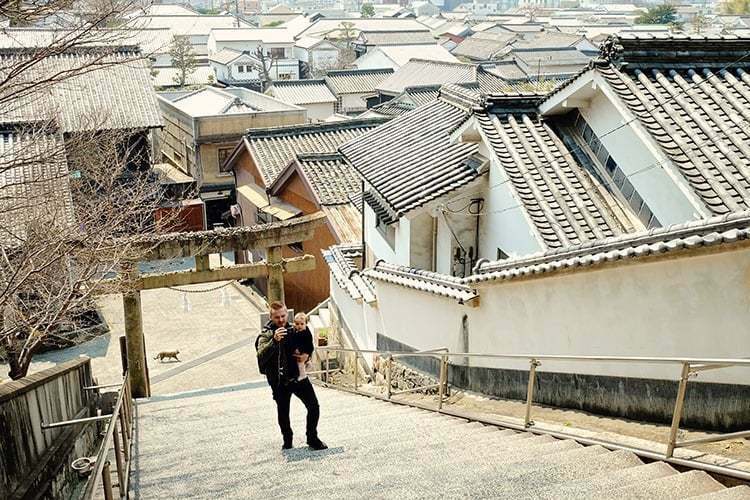 And we want to share our love for this city in our Kurashiki Japan Guide. 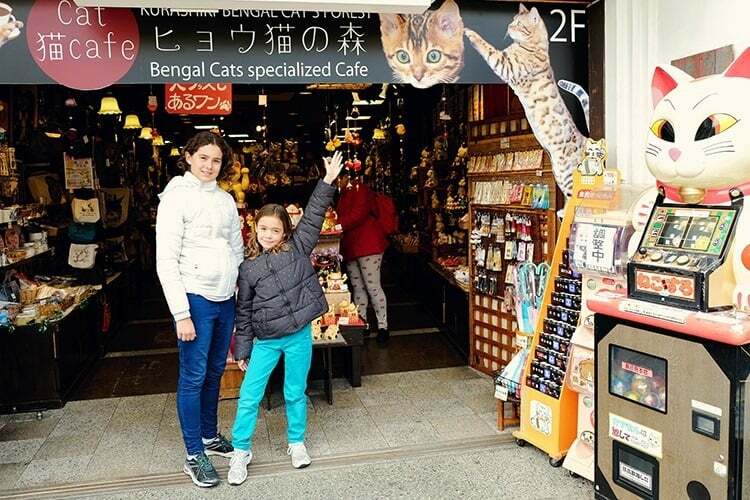 In our guid, you will find loads of helpful information to help you plan your visit to Kurashiki. From information on how to get there, to where to stay as well as the top things to do in Kurashiki. Kurashiki is located in western Okayama Prefecture, Japan, close to the prefectural capital of Okayama City. It sits on the Takahashi River, which is on the coast of the Inland Sea. Facing the Seto Inland Sea, it is one of the biggest industrial towns in Western Japan. Getting to Kurashiki by train is typically your easiest option. Your train journey from Osaka to Kurashiki will take around 2h20min. Whilst the shorter option involves a train journey from Hiroshima to Kurashiki which should take just under 2 hours. You will arrive at Okayama. Kurashiki Station and Okayama Station are connected by rapid trains along the JR Sanyo Line, that depart from each area very frequently. The one-way Kurashiki Okayama trip only takes around 15 minutes, both portions of the train ride are included in the JR Kansai Wide Pass as well as the Japan Rail Pass. 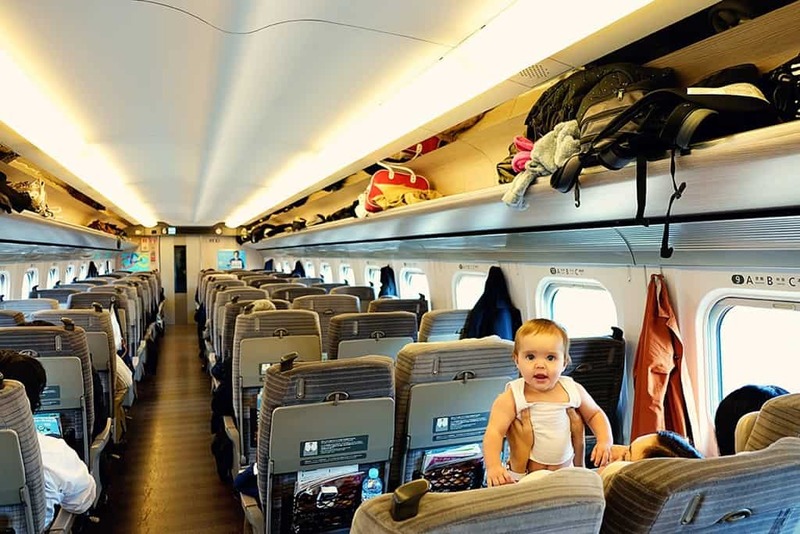 Further Reading: Click here to see the benefits of purchasing a Japan Rail Pass prior to your Japan holiday. Getting to Kurashiki by bus takes a little longer than going by train.The buses that depart from Tokyo’s Shinjuku station for Okayama continue on to Kurashiki. A one way trip from Okayama to Kurashiki will cost around 10,000 yen. 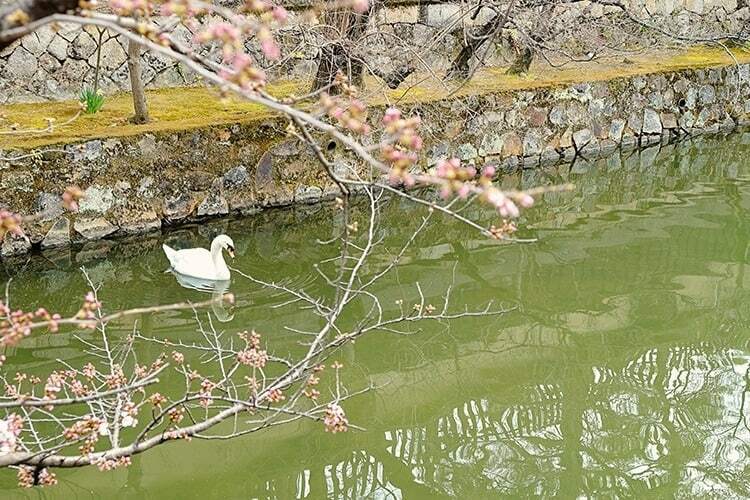 The Bikan Historical Area is a very symbolic area of Kurashiki. Much of the town still looks like it did 200 to 300 years ago. The area has been chosen as the most picturesque merchants’ quarter in Japan. About 300 years ago it was developed into a trade centre after the shogunate took over and built a magistrate’s office. Many of the buildings still stand and are in use today. 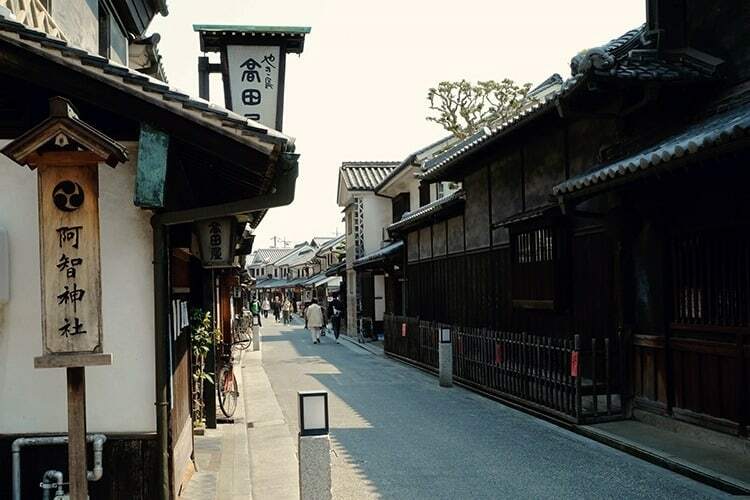 Kurashiki is nicknamed Shirokane No Machi, which translates to the white wall town. The reason it got that name is because of the 6th-century building techniques that were used in the area that included strengthening joints with white mortar. All of the power lines in the town are buried underground and newer constructions lie train platform walls have been painted to match the same design that is found on the original buildings in the area. The city is filled with archaeology museums, art museums, and folklore museums. You will never be bored when visiting the Bikan Historical Area. 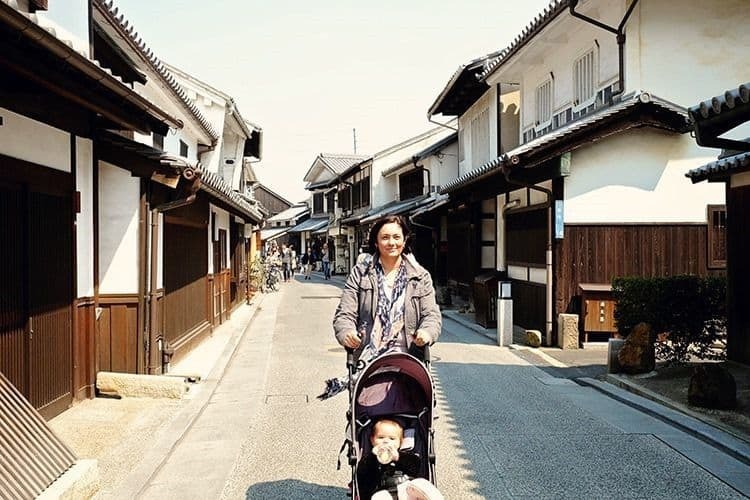 Our favourite activity here was to simply stroll the many beautiful streets and enjoy some good old fashioned Kurashiki sightseeing. 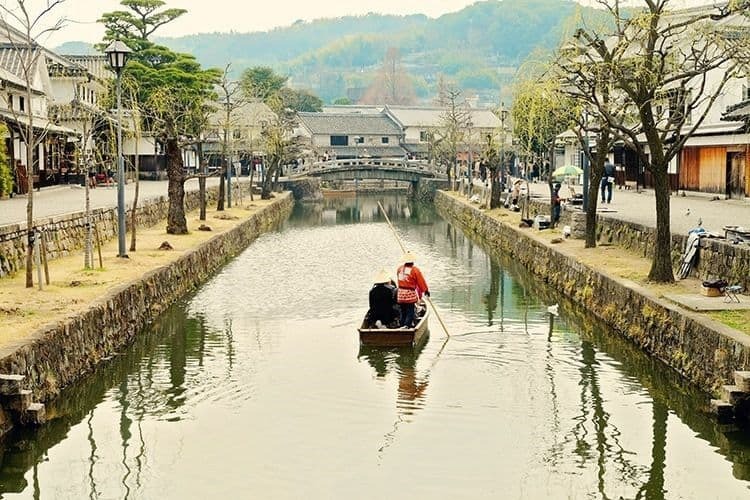 If you want to get a different view of Kurashiki and experience it just as people did hundreds of years ago, then you need to take a traditional boat ride down the Kurashiki Canal Area. There are plenty of different companies that offer this experience, all in traditional boats that will allow you to view the gorgeous shops and houses as well as venture under bridges that some people say have writing from residents long gone. If you are lucky you might even spot the beautiful swans! Many of the tour guides on the boats only speak Japanese, so make sure that you request a translator if you want to understand what is being said, although don’t let a lack of a translator stop you from going for a ride. 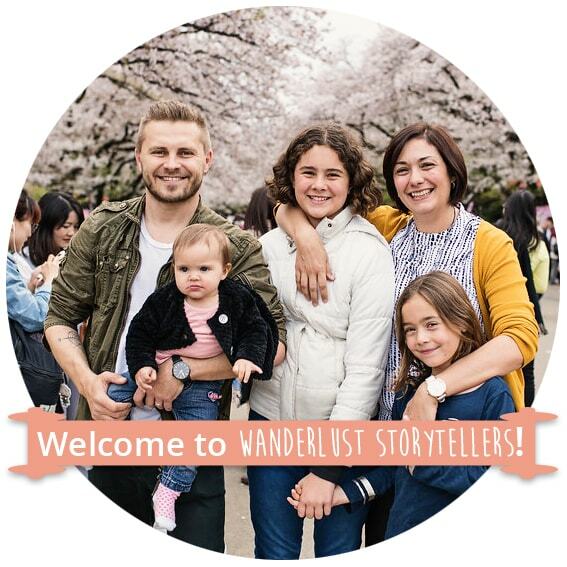 Many people have said that the experience is more authentic when it is only in Japanese. Boat rides cost an average of 500 yen for adults and 250 yen for children. Many people in Japan can’t have pets. Either they are too busy or their urban apartments are not pet-friendly. (Plus we noticed that dogs and animals were incredibly expensive as well). 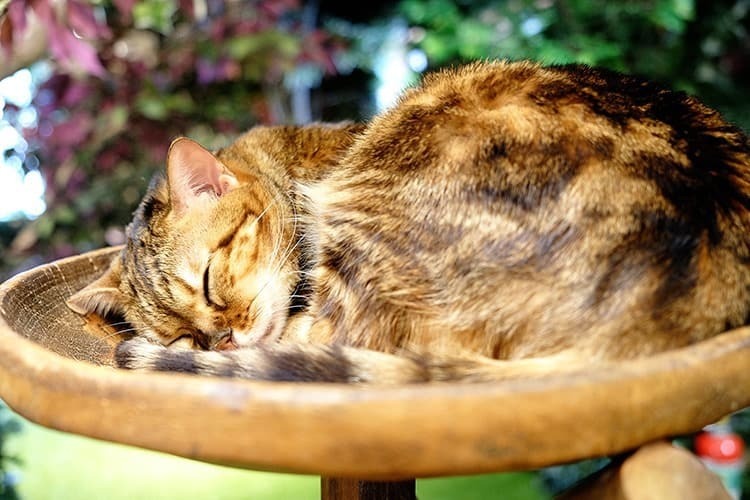 As a result you will find cat cafes scattered around many cities in Japan. 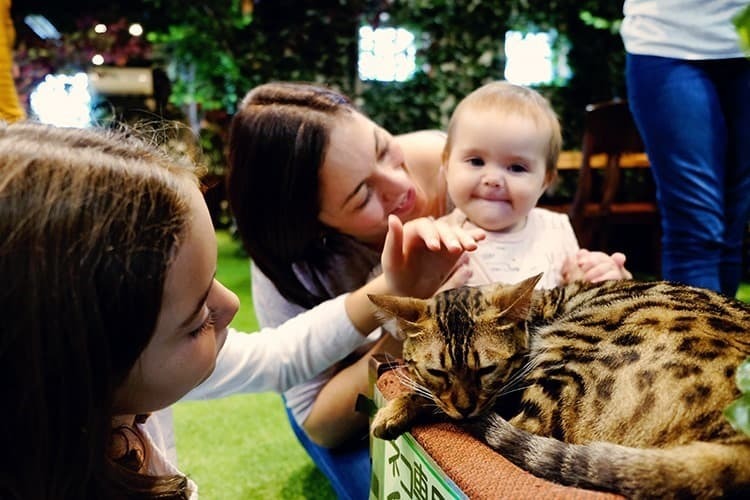 We all know of the many benefits of owning a pet, but if you can’t have your own, the next best thing is to visit a cat café where you can pay money to spend some time with a furry friend. The cats in the café we visited are all well looked after. The café was clean and the cats had loads of room to play, sleep and hide away when they had enough. Our girls had loads of fun playing with the cats (you can ask for some cat toys), whilst we enjoyed relaxing with some coffee. 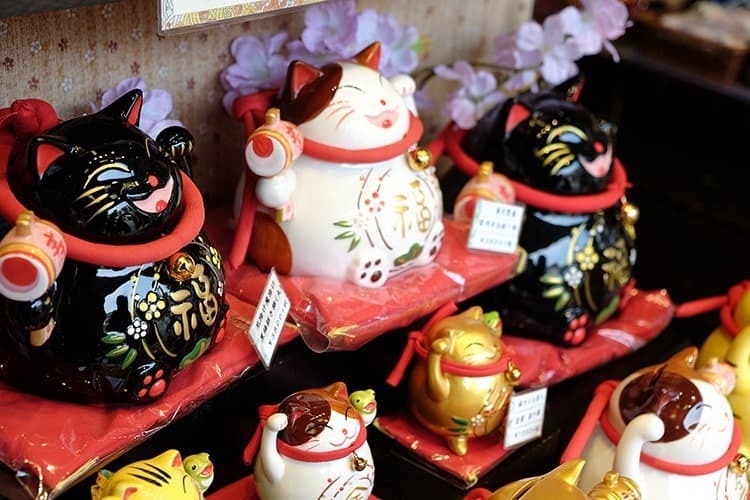 Make sure to check out all the super cute cat products in the little shop on the way out! We had a hard time convincing our cat obsessed daughters that they didn’t need every item on the shelf! Don’t forget to give some of the local snacks, treat and street food a try. We watched this man make these little street snacks. 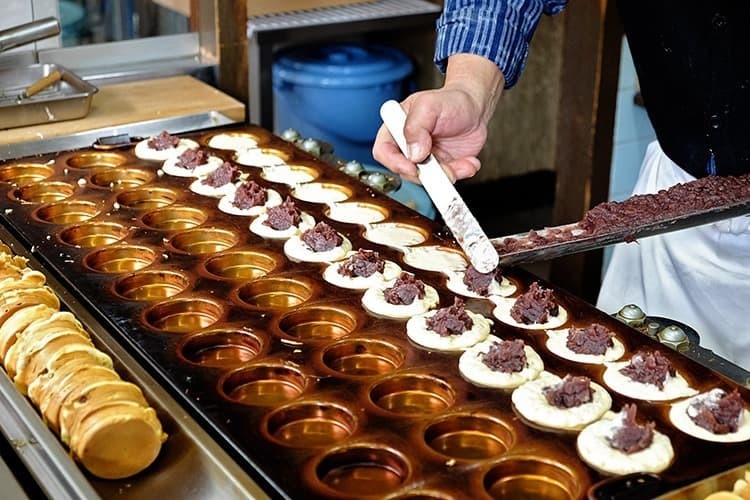 The filling is made from red bean paste. We all gave it a try but none of us enjoyed it. I think it is a bit of an acquired taste, as with many things in Japan. 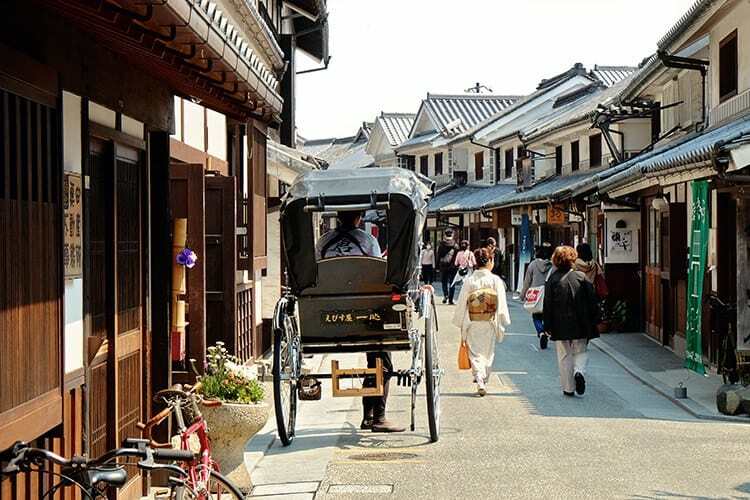 While you can visit Kurashiki at any time the week, there are certain times when it will be much more crowded. 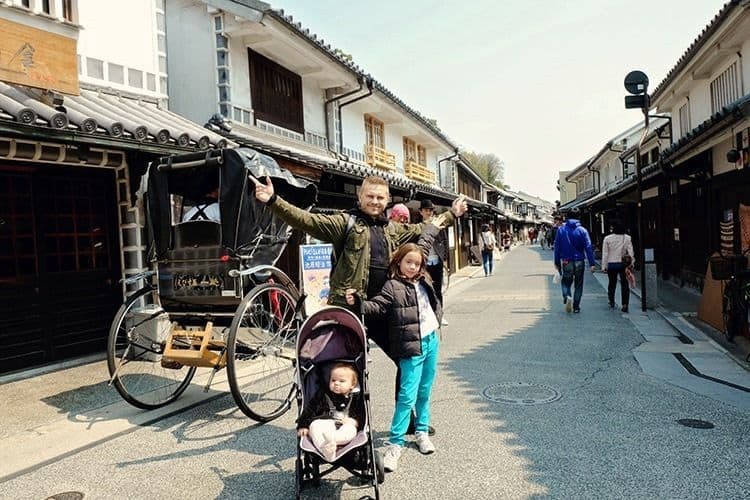 On Mondays, all the museums are closed, so if you are looking for a quiet time doing some shopping or going for a boat ride down the Kurashiki Canal Area, then Monday would be the perfect day for you, and you should be able to fit in all your sightseeing in one day. 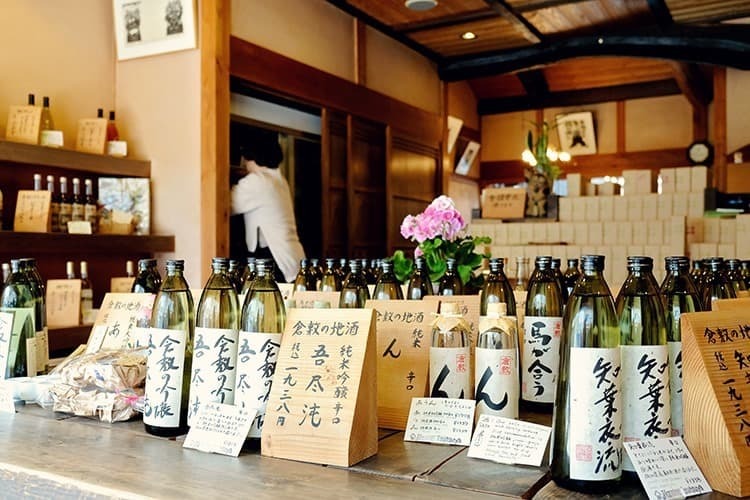 Now, if you are the kind of person who wants to experience everything they can when they visit an area, you might want to consider spending a little bit more time in Kurashiki. Most of the main sights of Kurashiki can be experienced in one day, but we recommend that instead of rushing around you should spend the night and get to experience the magic of staying in a traditional Japanese ryokan; and take a ride down the canal while the entire town lights up. The Bikan area is soooooo pretty at night! The Kurashiki Kokusai Hotel is a beautiful 4 star hotel situated right next to the canal area (Bikan district) in Kurashiki. Click here to check the latest deals for this hotel. 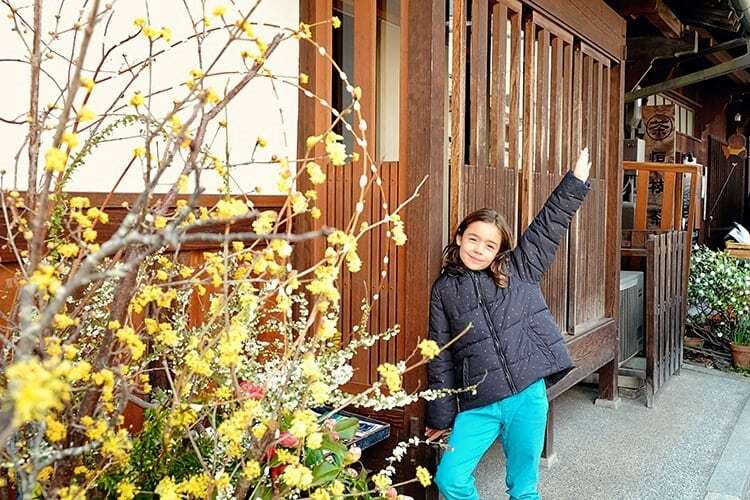 The absolute best Kurashiki Ryokan is the very fancy and beautiful Ryori Ryokan Tsurugata. It is a 4 star ryokan, located right inside the Bikan Historical District. Click here to check the latest deals for this hotel. The Court Hotel Kurashiki is a great 3 star hotel option. It is located a 5-minute walk from the famous Bikan Historical Quarter and a 10-minute walk from JR Kurashiki Train Station. Click here to check the latest deals for this hotel. The Dormy Inn Kurashiki is a cheaper alternative for your stay. 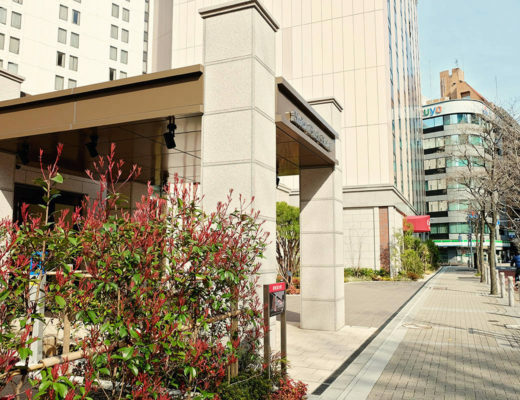 The hotel is an easy walk from Kurashiki station (10minutes or less) and right at the gateway to the old quarter, otherwise called the Bikan Historical District. Click here to check the latest deals for this hotel. 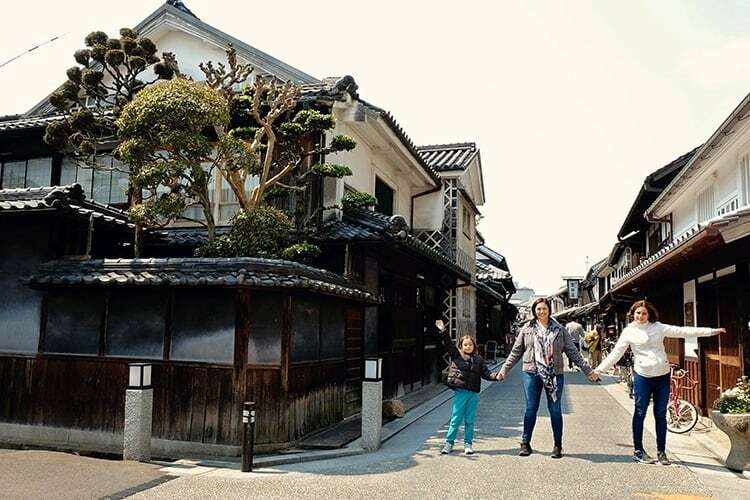 Regardless of how much time you choose to spend in Kurashiki, this town that is frozen in time is sure to become one of your fondest memories and its beauty, history, and culture will call you back again and again. 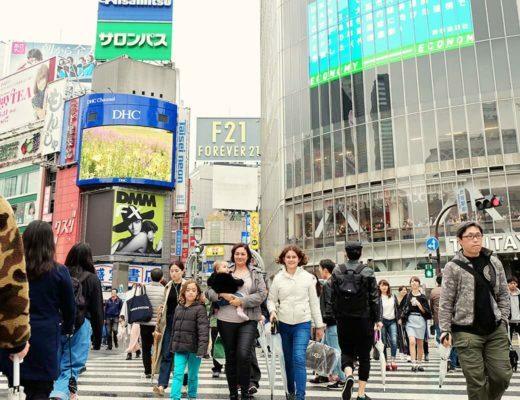 Top 3 Things to See & Do in Shibuya | Tokyo’s Busiest District!